Fathers' involvement in their children's lives has been linked to higher cognitive development and school achievement, better mental health for boys and girls, and lower rates of delinquency in sons. Studies in multiple countries have shown that fathers' interaction is important for the development of empathy and social skills in sons and daughters. 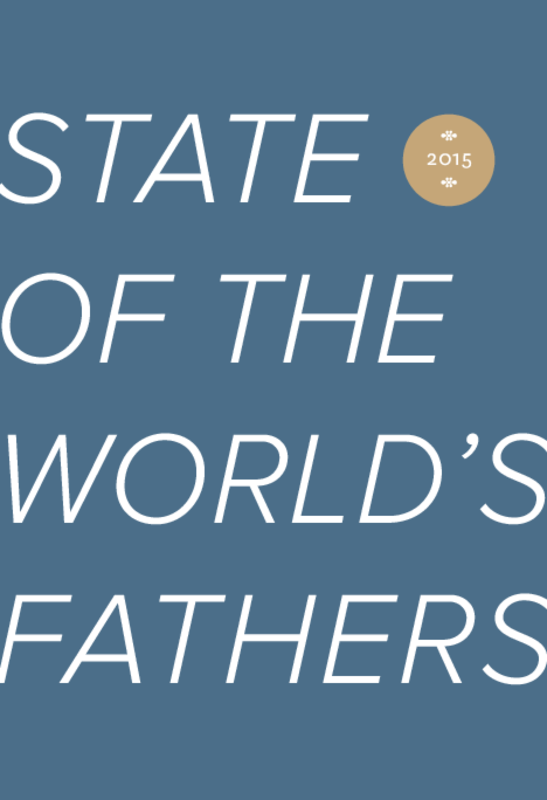 The SOWF report states that to achieve full gender equality and maximum wellbeing for children, we must move beyond rigid, limiting definitions of fatherhood and motherhood. This is not just a question of encouraging men to be nurturing and caring but rather an issue of social and economic justice. The report states that changes are needed in policies, in systems and institutions, among service providers, within programming and within data collection and analysis efforts. A lack of supportive policies such as paternity leave for new fathers helps cause an imbalance between mothers and fathers. This causes women to miss out on opportunities for work and income, children to miss out on having an involved father, and men to miss out on the positive benefits of involved fatherhood. Copyright 2015 Promundo, Rutgers, Save the Children, Sonke Gender Justice, and the MenEngage Alliance.